Pat Jones, PMHCNS-BC has been in private practice as a psychotherapist for over 20 years in the Atlanta and Alpharetta/North Fulton areas. Her expertise is in the area of adult psychotherapy and couples therapy. She is also a hypnotist who does hypnotherapy for a variety of problems including weight reduction and smoking cessation. She has extensive experience in the areas of stress management, addiction and co-dependency. She has presented programs on stress management to medical students, nurses, school teachers and civic organizations. She is also a partner in the Resolute Consulting Group working in the area of Family Businesses. 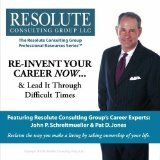 Pat Jones, with Jerry Mabe, executive coach with Right Path Consulting, has joined in the establishment of Leadership Crisis Solutions to provide assistance to Leaders in Crisis situations. Credentials: I am a Clinical Nurse Specialist in Adult Psychiatric and Mental Health. This is a Board Certified State Licensed position. The letters after my name are PMHCNS-BC Psychiatric Mental Health Clinical Nurse Specialist-Board Certified. With this criteria I am licensed as a psychotherapist. I have a Diploma (3 years) from Scott and White Memorial Hospital School of Professional Nursing in Temple, Texas. I have a BSN (2 years) from Georgia State University and a MS (ones year plus post graduate work) (Nursing, Psychiatric/Mental Health) from Georgia State University. "I don't know what would have happened to me if I had not met her." For more detailed, in depth information regarding Addiction, go to www.BMA-Wellness.com . There you will find more treatment options, alternatives, and recommendations as well as the opportunity to participate in the New Psychiatrist Forum with Dr. Floyd P. Garrett. We welcome your feedback.